What does the Tesla Model 3 mean for modern motoring? The new Tesla Model 3 was delivered to the first 30 eager buyers this week. And I must admit it’s a brilliant looking car – with the ability to rocket from 0 – 100kmh in under 5.6 seconds. Impressive! But what else can we take from looking at it? Starting at $50,000, the Tesla Model 3 is their most affordable yet. Until now, the existing range has all topped six figures so the Model 3 is genuinely bringing fully electric cars to the masses. With such brilliant performance, looks and benefit to the environment, the argument for traditional petrol-powered vehicles diminishes each year. I do love driving classic fuel injected cars but what will happen in the next 10 years? More cost effective to run? Interestingly, when looking a the Model 3 side by side against a similar sized vehicle, the numbers stack up really well. 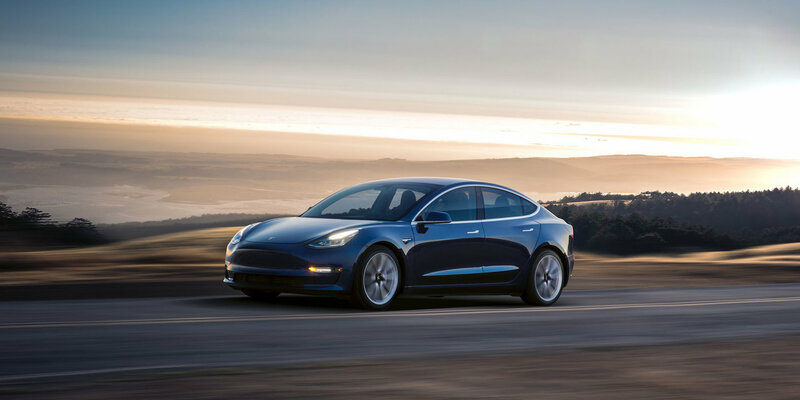 The venerable Choice magazine calculated that driving an average of 280 km per week in a 2.0L Audi A4 would cost up to $1200.11 per year while the Tesla comes in at a very low $642.72. That’s an astonishing difference and something that potential buyers should take into account when considering the Model 3. That and the two year wait on delivery of course. Read more on the choice article here. In what’s surely a world-first, drivers will no longer need a key or fob to enter the car. Owners simply link the car to their smartphone via bluetooth and the vehicle will automatically unlock as you approach. You can even start the car before you jump in – no doubt a godsend on a rather hot or cold day, blast out the heat or warm the cabin and you’re good to go once you jump in. The flip side of this is our increasing reliance on smartphones to run our lives, banking, social media, personal contacts and now our car can all be controlled from a single device. Great, but what happens when we leave our phone somewhere? 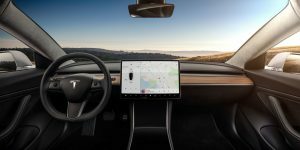 You’ll find no buttons, dials or switches in the Model 3. Everything from re-positioning the air vents to setting a destination and getting your morning news is controlled from the massive touch screen. Even your speedometer appears on the 15” screen. It’s a nice touch and really simplifies the layout of the car, but I’d be intrigued to see how such a large smartphone-like touch screen distracts drivers while on the road. At first glance the Tesla Model 3 is a brilliant looking car, with outstanding performance and some seriously smart technology within. Add to that the affordability and this will undoubtedly be a game changer for both Tesla and the car industry as a whole. It will be interesting to see what of their new technology becomes the norm in years to come, not to mention how other manufacturers will respond to this impressive car. Now I just need to actually get a test drive sometime. If you’d like to brush up on your driving skills before you jump behind the wheel of your new Tesla – get in touch today! Congratulations Maddi Ciancio on your "FIRST TIME PASS & 100%"
Congratulations Luke Martino on passing your drive test. Congratulations Belinda Wild on your "FIRST TIME PASS"
Congratulations Zoe Barton Smith on your "FIRST TIME PASS" and in a manual. Congratulations Lachlan Kent on your "FIRST TIME PASS" and in a manual. Congratulations Zac Corcran on your "FIRST TIME PASS"
I’d like to thank Pro Am Driving Schools for their work over the past month or so. I was hospitalised for a long time and unable to drive a car for about 18 months. It meant that I had to prove to VicRoads that I could drive again. I needed a refresher course but I needed a special person to take me out again. Because of my illness I needed someone who could impart to me the three C’s – Confidence, co-ordination (mine needed a lot of work – I knew that) and communication skills. Tony took me out and structured the learning around my strengths and weaknesses. The refresher course focused on bringing my weaknesses up to normal. It was tailored to my requirements and developed as I went forward. Although I worked hard my instructor worked hard in fitting the learning to my needs. Tony showed his confidence in me by structuring the learning around my needs. That was important to me. During the short term I was with the instructor I found him patient, prompt, knowledgeable and importantly flexible. I’m happy to recommend Pro Am Driving School to anyone who wants a friendly, flexible and knowledgeable approach to driving.